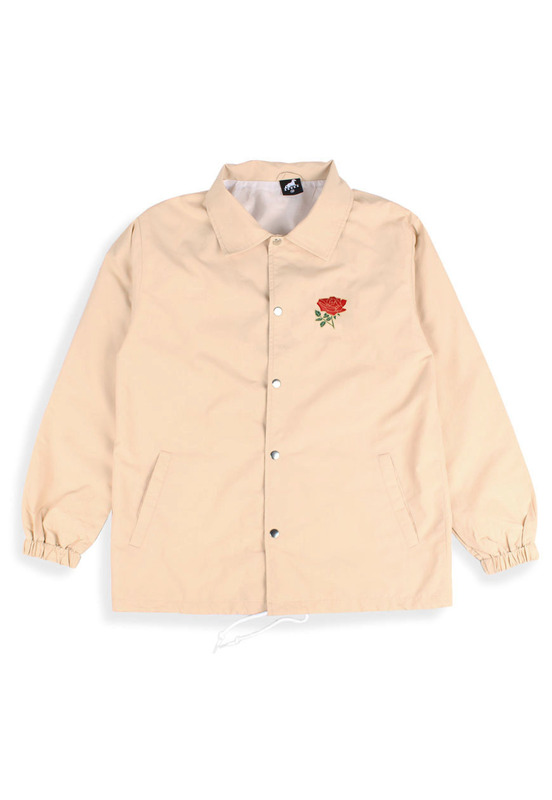 Agora Rose Coach Jacket in sand. 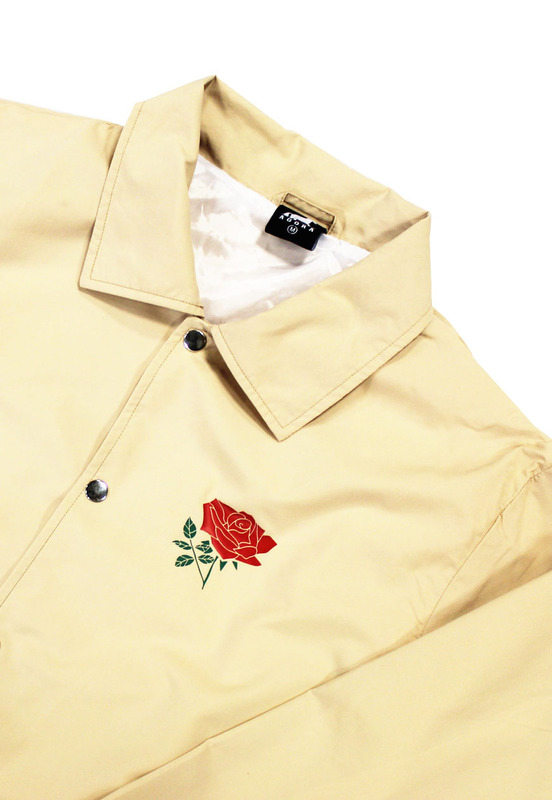 Neutral toned, matte finished nylon jacket with satin lining and silver snap closures. 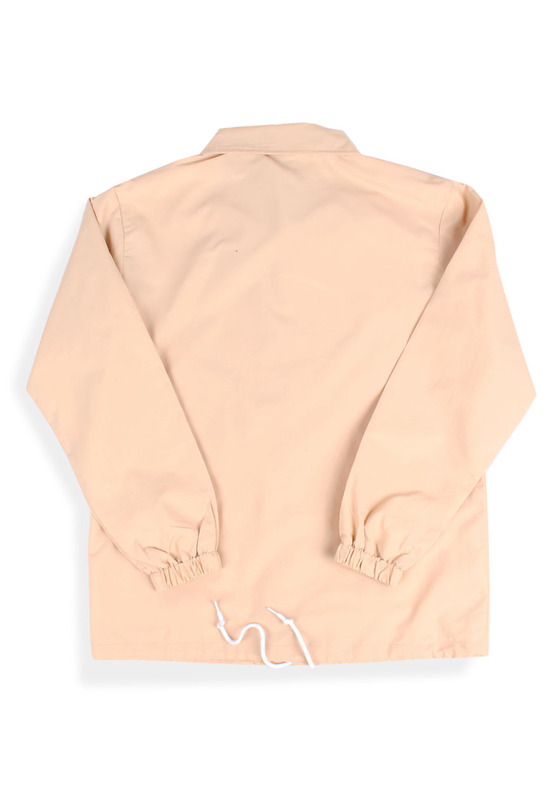 Finished with white drawstring. Tailored fit with a little extra length.